Washington (CNN) - Secretary of State John Kerry has asked his "old communicator and colleague," Jen Psaki, to be his chief spokeswoman, a senior agency official confirmed Wednesday. 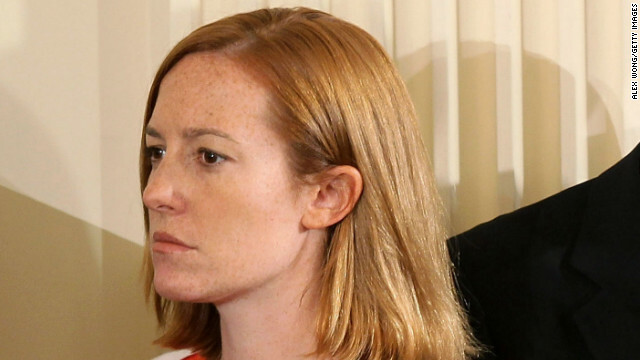 Psaki is only in her 30s but she is an old hand at Democratic message-shaping. She worked with then-Senator Kerry on his 2004 presidential election bid and was President Barack Obama's deputy communications director. Most recently, she has been senior vice president and managing director with the Global Strategy Group, a Democratic communications company. Diplomats usually measure their words; Psaki doesn't mince words. "…if the Republicans running for president insist on continuing to question basic women's rights then they have completely underestimated the force of the modern women's movement." That would be a 180-degree turn from the current spokesperson at State, Victoria Nuland, a career Foreign Service officer and former U.S. Ambassador to NATO. Nuland gave politics a wide berth in her briefings, refusing to be pulled into any discussion of how the administration's foreign policy plays on Capitol Hill. Psaki will be briefed over the coming days on the issues that she will deal with at the State Department and she'll have her work cut out for her. Psaki will begin to brief reporters, the senior State Department official said, when she is versed on the issues. "We will make the decision based on her comfort, when she's ready to fly the podium she will fly it," the official said. Psaki gets rave reviews from people who have worked with her in the administration. "Jen is a tremendously talented and decent person, who has the respect and trust of everyone in the White House starting with the president. She is going to do a tremendous job in her new role," Dan Pfeifer, senior adviser to the president and until recently the White House communications director, tells CNN. Ben Rhodes, deputy national security adviser, says that "Jen has excelled in every role she's been in – she's very well-liked and respected here at the White House." Rhodes said she has a great relationship with Kerry from his 2004 race, and quickly got up to speed as the lead economic spokesperson at the White House. "So, I have every confidence that she'll do the same on foreign policy at State," he said. Some reporters, however, wondered how Psaki can make the switch from partisan to diplomat. Others pointed to Mike McCurry. He worked on a series of Democratic presidential campaigns and then went to the State Department as spokesman. He wound up as Bill Clinton's press secretary. "Mc Curry was an effective State Department spokesman. What made Mike effective is he was in on everything. As long as Jen has access to information and people, she can ramp up quickly," a former State Department official told CNN.